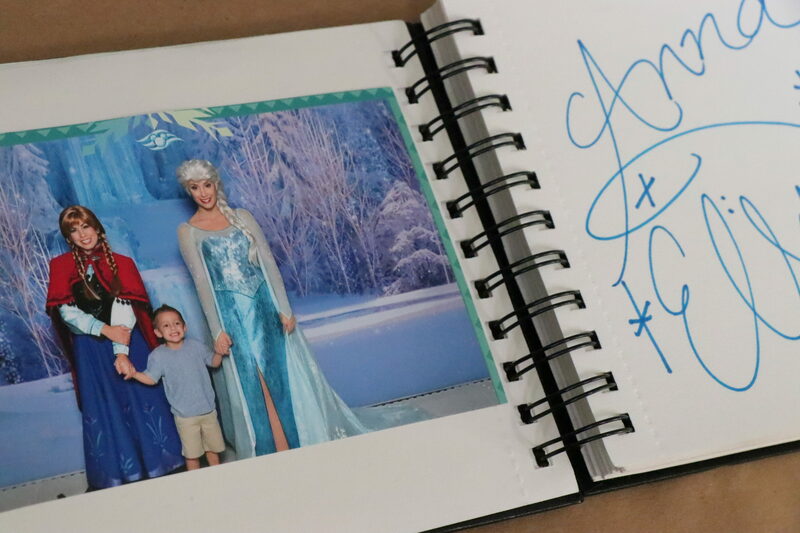 When you plan a trip to Disney, whether it be the parks or a Disney Cruise (which I HIGHLY recommend), autograph books are definitely a must for kids! They absolutely LOVE to run up to the characters and get them to sign their books! You can buy autograph books all over the place in souvenir shops or even online- but most are pretty generic, so I made my own! I wanted them to be more personalized, and I wanted to be able to make them unique for each child. 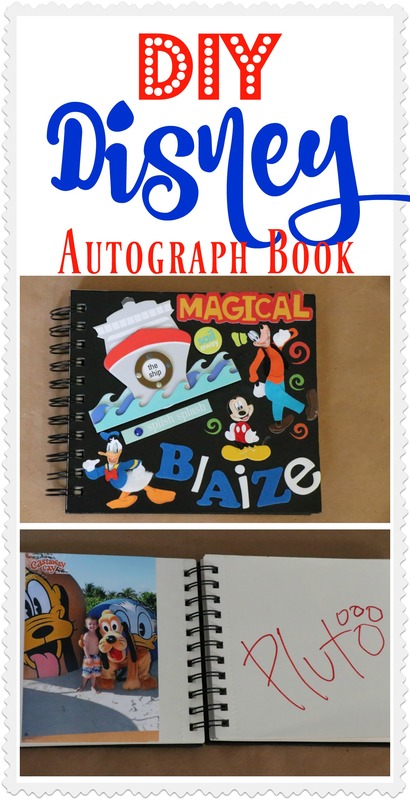 So, if you are planning a trip to Disney soon, keep this easy DIY Disney Autograph Book in mind! 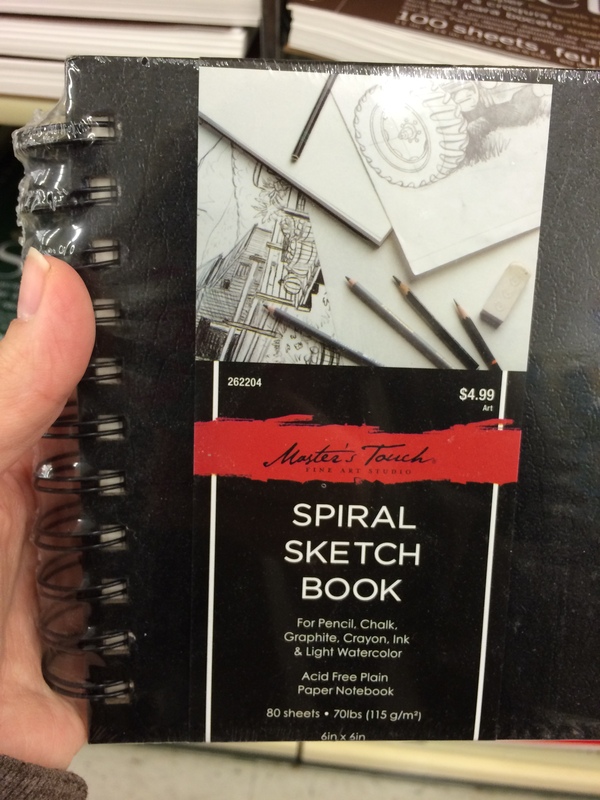 6×6 in Spiral Notebook with thick paper (Hobby Lobby is where I got mine) *Any size will work, but this was most convenient because it was small enough to carry around easily) And, use your 40% off coupon because they probably won’t be on sale! 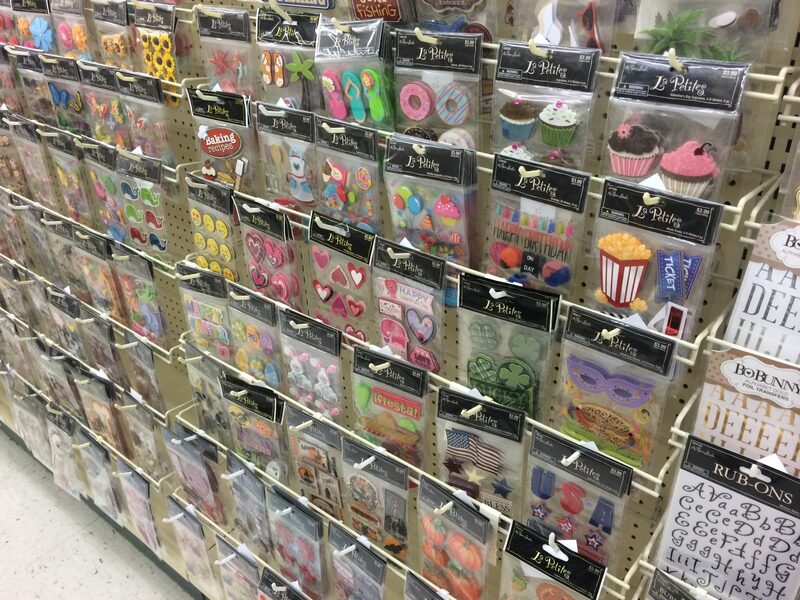 Scrapbook Stickers (or any kind of stickers)- Hobby Lobby is where I got mine…but any craft store with stickers will have them! The selection of stickers out there is AMAZING. 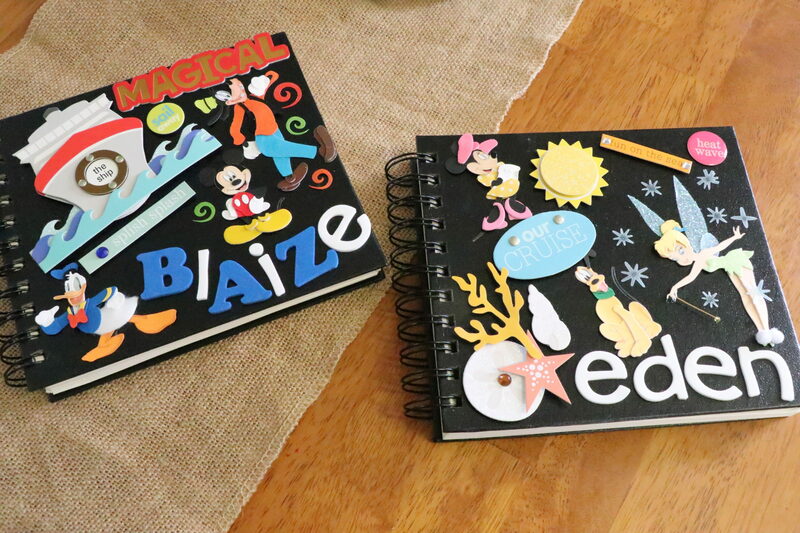 You can literally customize these books however you see fit! 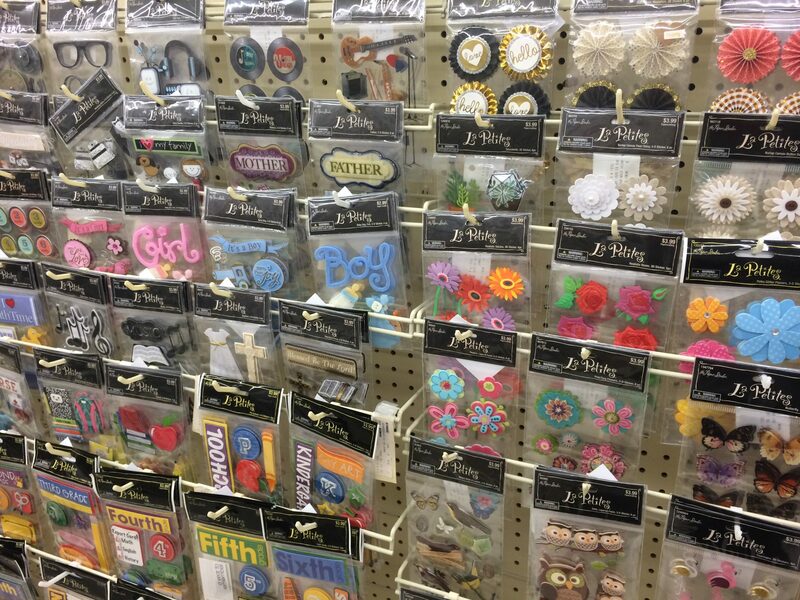 I just snapped some pictures of the rows of stickers just to show the massive amount (and this is only a very small portion!) available. Colorful Sharpie’s! I used a pack of different colored sharpies so that the characters could each use different colors and it would be cuter in the book. Black is perfectly fine. Since you are using the thick paper, they don’t bleed through as bad (still do a little). Ok, so the supplies are self-explanatory! 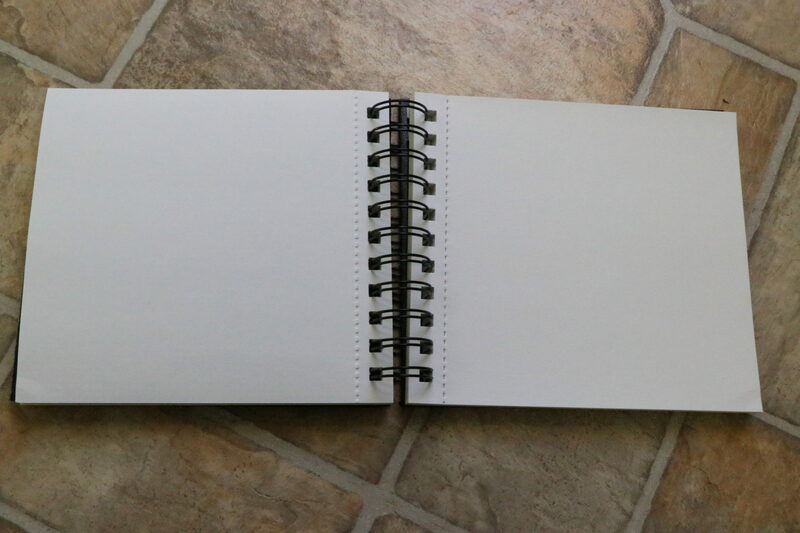 Get a spiral notebook and some stickers of your choice and start making it your own! I did one for each of the kids. 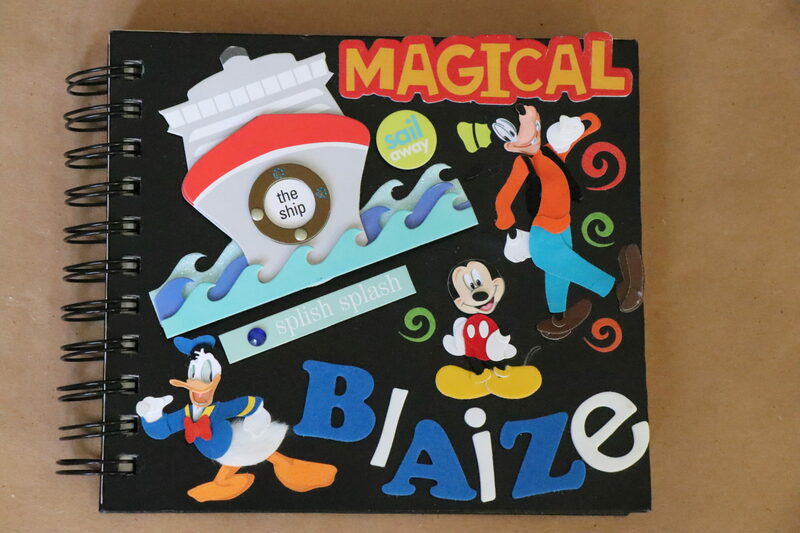 Blaize loves Mickey, Donald and Goofy- so I highlighted them on the outide. I also found this awesome cruise ship that was perfect, because we went on a Disney Cruise! (See ALLLL about that trip HERE and why I recommend it so highly!) Eden loves Minnie, Pluto all things girlie (Tinker Bell! ), so I highlighted that, along with fun in the sun stickers since we would be spending lots of time outside in the sun! I just used letter stickers to make their names. They LOVED them!!! I am going to use Blaize’s book for the example today. How stinkin’ CUTE?!?! 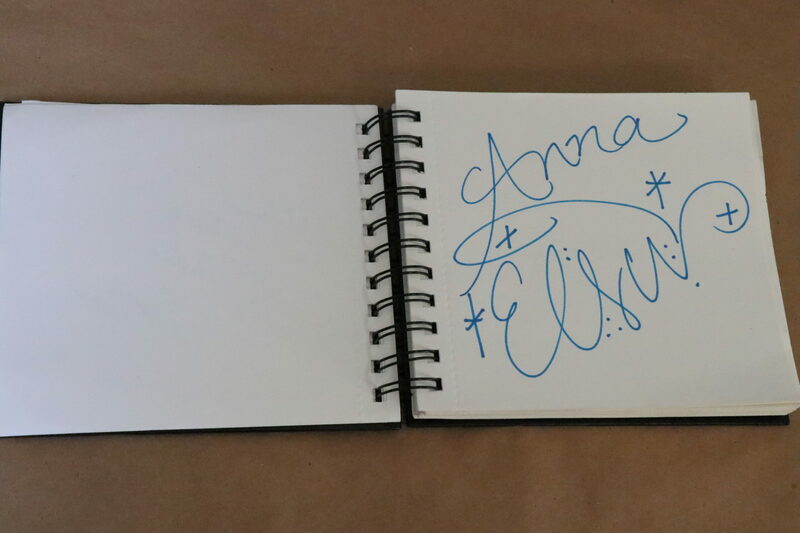 We had each character sign the book with different colors each time so that it wasn’t all the same. I am just going to show a couple because there were SOOO many. We had them sign on one side, and we left the other side open for a picture to go beside it of them and that specific character. 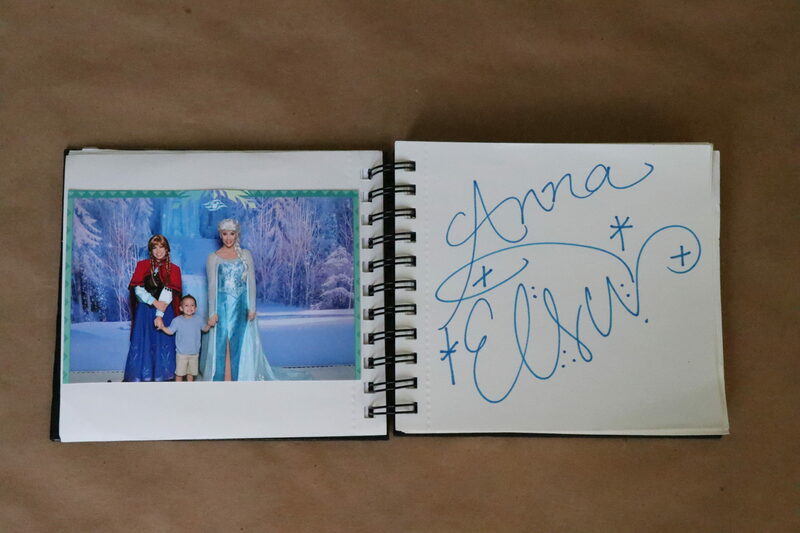 This boy loved Anna and Elsa as much as my daughter! He just kept smiling from ear to ear. 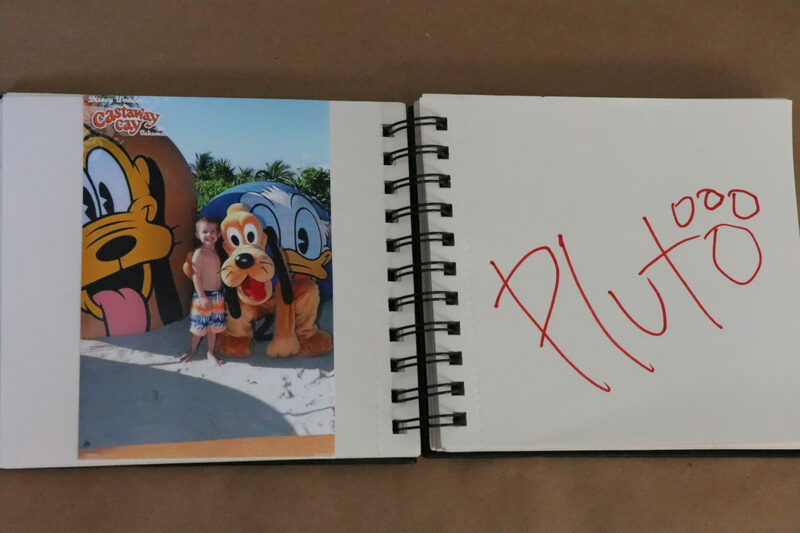 And how cute is he with Pluto?!? I simply adhered the pictures with double sided tape. It is simple! Nothing to it…but they turned out adorable, and we got lots of compliments on the boat. I didn’t see anyone with anything like it. They were just unique and customized, which is what I liked! Do you follow me on Pinterest and Facebook?!?! Tips for a Disney Cruise~ A full review and why it is the BEST vacation for families! Such a great idea, Brooke! I’ll have to remember this for the littles in our family!